A superb example of the E-100 that was designed as a super heavy tank but never quite entered service. Developed in 1936 by Rheinmetall-Borsig, the first prototype Flak 40 was tested in late 1937. Its weight was nearly 12 tonnes which made the gun difficult to transport. 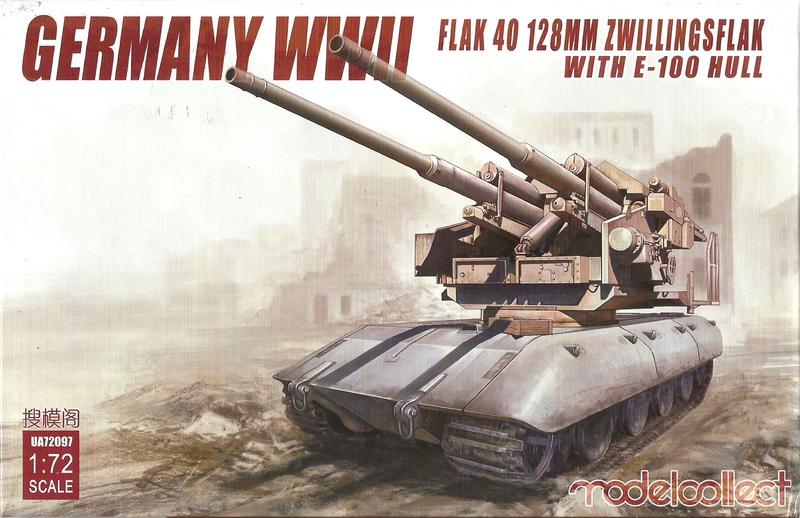 In addition to the single barrel Flak40, a twin gun version was also produced as the 12.8cm Flakzwilling 40/2. The E-100 chassis was also intended to be used in an artillery role, a tank destroyer and an anti aircraft platform.